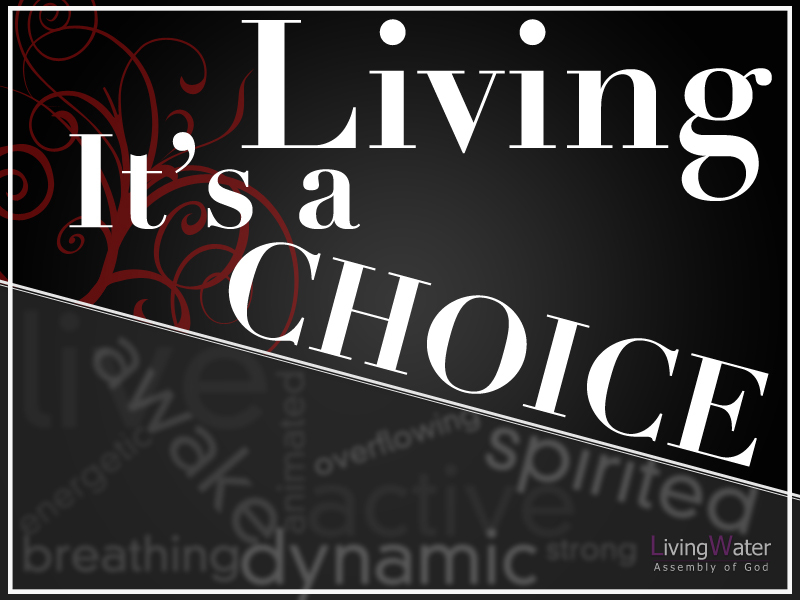 Deuteronomy 30:19 (ERV), Today I am giving you a choice of two ways. And I ask heaven and earth to be witnesses of your choice. You can choose life or death. The first choice will bring a blessing. The other choice will bring a curse. So choose life! Then you and your children will live. Picher, Oklahoma, is no more. In mid-2009, this once-bustling town of 20,000 went out of business. In the first quarter of the 1900’s Picher was a boomtown because of its abundant lead and zinc. Workers extracted the ore, which was used to help arm the US during both World Wars. What happened to Picher can happen to people. Prosperity, things, parts of life can look so good that it is hard to think about possible downsides. Proverbs 3:5-12, Trust in the Lord with all your heart, And lean not on your own understanding; 6 In all your ways acknowledge Him, And He shall direct your paths. 7 Do not be wise in your own eyes; Fear the Lord and depart from evil. 8 It will be health to your flesh, And strength to your bones. 9 Honor the Lord with your possessions, And with the first-fruits of all your increase; 10 So your barns will be filled with plenty, And your vats will overflow with new wine. 11 My son, do not despise the chastening of the Lord, Nor detest His correction; 12 For whom the Lord loves He corrects, Just as a father the son in whom he delights. Actions, that are detrimental to long-term spiritual health if not corrected, can lead to destruction. It happened to King Saul. He began as a good king, but in seeking success he failed to see the damage he was doing. Turning his back on God’s commands, he acted “foolishly” and lost his kingdom. In our attempts to find success, we need to watch out for spiritual pollution that comes when we fail to follow God’s clear scriptural guidelines. Godly living always beats toxic living! 16 Length of days is in her right hand, In her left hand riches and honor. 18 She is a tree of life to those who take hold of her, And happy are all who retain her. I John 1:5-10, This is the message which we have heard from Him and declare to you, that God is light and in Him is no darkness at all. If we say that we have fellowship with Him, and walk in darkness, we lie and do not practice the truth. But if we walk in the light as He is in the light, we have fellowship with one another, and the blood of Jesus Christ His Son cleanses us from all sin. If we say that we have no sin, we deceive ourselves, and the truth is not in us. If we confess our sins, He is faithful and just to forgive us our sins and to cleanse us from all unrighteousness. If we say that we have not sinned, we make Him a liar, and His word is not in us.